As Thailand assumes the Chair of ASEAN for the year 2019, we cannot help but look back with pride at the accomplishments of this remarkable and resilient regional grouping ever since its founding in Bangkok over five decades ago. At the same time, it is incumbent upon us to chart the way forward for ASEAN over the immediate future and into the next half century. Towards this end, Thailand has identified some of our key priorities for ASEAN during the year ahead. As the driving force for our chairmanship of ASEAN in 2019, Thailand has chosen the theme “Advancing Partnership for Sustainability” which, we believe, contains the key elements essential for ASEAN to meet the challenges of the next decade and beyond. In undertaking this theme, we seek to achieve a people-centred ASEAN Community that leaves no one behind and is fully prepared for the future. With the operative word “Advancing”, we wish to underscore an ASEAN that is constantly looking ahead to the future—a dynamic, creative and competitive ASEAN moving forward as one towards the “blessings of peace, freedom and prosperity” envisioned by our founding fathers. With the advent of the Digital Age, it is apparent that our goal must be to move towards becoming a “Digital ASEAN” that fully and beneficially utilises the extensive range of new technologies arising from the Fourth Industrial Revolution. These so-called “disruptive technologies” have the potential to radically improve the lives of our peoples if we are able to catch the wave and make proper use of them. At the same time, if we do not adequately prepare and immunise ourselves from the negative impacts of such technologies, we risk being engulfed by this very same wave. Among the many activities planned in this connection, Thailand will host an ASEAN Digital Agility Leaders’ Meeting during its chairmanship and will enhance the ASEAN-Japan Cybersecurity Capacity-Building Centre located in Bangkok. Such actions are geared towards ensuring the ASEAN Community’s safe and smooth integration with the world of digitalisation. The importance of “Partnership” was central to the formation of ASEAN from the very beginning, with the Bangkok Declaration proclaiming the member states’ common desire to promote regional cooperation in a “spirit of equality and partnership”. From the original partnership among the Southeast Asian countries, we have seen a steady progression towards a substantial and meaningful partnership with our Dialogue Partners and the wider international community based on mutual interests and common concerns. Today, during a time of great change and uncertainty in the world, amidst heightened competition among the major powers, and in the face of eroded trust in the virtues of regionalism and multilateralism, the importance of partnership within ASEAN and its extended family is greater than ever. On the economic side, Thailand hopes to see increased cooperation in trade and investment within ASEAN as well as between ASEAN and other countries. In this regard, we will push for the conclusion of the Regional Comprehensive Economic Partnership (RCEP) negotiations by the end of this year. We also seek a greater and more constructive role for ASEAN on the international stage, particularly in tackling major global issues such as climate change and the environment. As far as regional issues are concerned, ASEAN must take the lead in dealing with the pressing challenges in our own part of the world. Failure to do so would put the credibility of the organisation at stake and we bear the risk of losing relevance. We must therefore play a leading role in strengthening the ASEAN-centred regional architecture in close collaboration with our Partners. One of the most effective means of strengthening our partnerships is by promoting connectivity in all its different dimensions, whether it be in the form of infrastructure, institutions, rules and regulations, or people-to-people linkages. Since there are a large number of connectivity initiatives currently taking place within the region, that is why Thailand has proposed an approach called “Connecting the Connectivities”, which would help create synergies and build complementarities among all these strategies as well as with the Master Plan on ASEAN Connectivity 2025. Through such an approach, we hope to achieve a “Seamless ASEAN” with greater strategic value-added, both for our own sake and that of our Partners. Last but not least, the theme of the Thai Chair focuses on “Sustainability”, which is key to ensuring that the fruits of our ongoing collaboration are passed on to future generations. The Internet of Things is already a basic part of our everyday lives, but it is high time that greater importance is attached to the “Sustainability of Things”. By this, the Thai Chair intends to emphasise sustainability in all of its different dimensions, whether it be sustainable security, based on mutual trust and benefit; sustainable economic growth and development to better the lives of our children; or sustainable livelihoods and cities for all of our peoples. In this connection, an ASEAN Centre for Sustainable Development Studies and Dialogue, an ASEAN Centre for Active Ageing and Innovation as well as an ASEAN Centre for Social Work and Social Welfare will be established in Bangkok this year to underscore the importance attached by the Chair to sustainable human security with people at the centre. At the same time, Thailand intends to promote the complementarities between the ASEAN Community Vision 2025 and the United Nations 2030 Agenda for Sustainable Development so that all work in this sphere is synchronised and proceeds in tandem. These are just a few of the issues on the plate of the Thai Chair. We are reminded that a little over two decades ago, our leaders announced the ASEAN Vision 2020 in which they envisioned ASEAN as “a concert of Southeast Asian nations, outward looking, living in peace, stability and prosperity, bonded together in partnership in dynamic development and in a community of caring societies”. As we enter the final year before this milestone is reached, we find that ASEAN has achieved most of the goals set by the leaders. And yet, new challenges have emerged and new targets remain to be achieved. As Chair of ASEAN for the year 2019, Thailand looks forward to meeting all of these challenges in close cooperation, and in a spirit of partnership, with our fellow ASEAN members and our friends around the world. 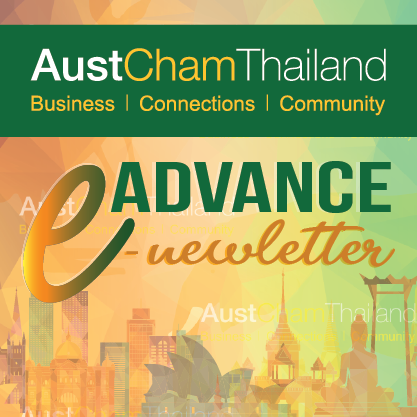 Next [February 2019] Merger Control Regime in Thailand – a new M&A barrier?